• The submission deadline of FCEE 2019 has been extended to August 15, 2019. [CLICK]. • FCEE 2019 will be held at Bayview Hotel Georgetown Penang. [CLICK]. • It's been decided by the organizing committee that FCEE 2019 will be held in Penang, Malaysia during December 28-30. [CLICK]. Clean energy is becoming a more and more popular item these years. It’s abundant and the costs are plummeting. Solar, wind and water are examples of clean energy sources we have started to use. The challenge is finding ways to reduce the greenhouse gas emissions when dirty energy sources are used to make power and develop the clean energy industry so it supplies more and more of the energy we use. 2019 International Forum on Clean Energy Engineering will be held in Penang, Malaysia in its first year during December 28-30, 2019. The present forum aims to promote an exchange of recent and advanced information among scientists and engineers in the wide field of energy engineering with special focus on clean energy. The forum is also aimed particularly at promoting communication and collaboration between fundamental researchers and those engaged in the development of practical technology in respective areas of clean energy. • The conference will be held every year to make it an ideal platform for people to share views and experiences in clean energy engineering and related areas. • Selection of the best oral presentation will be made at the conference based on both the technical content and presentation. The winner will be chosen by the Session Chair and the Best Presentation Certificate will be awarded. 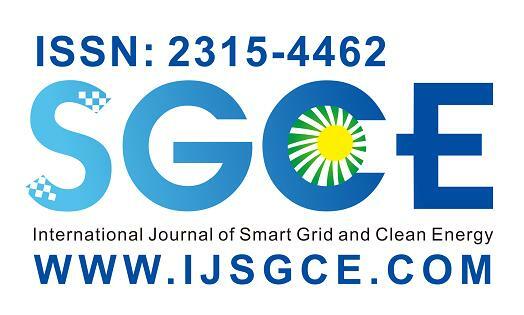 Submissions will be reviewed by the conference committees and SGCE editorial board, and accepted papers will be published in the International Journal of Smart Grid and Clean Energy, which will be indexed by Scopus, EI (INSPEC, IET), EBSCO, DOAJ, Ulrich's Periodicals Directory, Google Scholar, Crossref, etc. 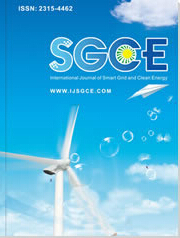 Not only your paper will be published in International Journal of Smart Grid and Clean Energy, but also be given a chance to make a presentation of your paper. Electronic Submission System; ( .pdf) or through email fcee@iap.org directly.